All the Sandwiches Come with Your Choice of Lettuce, Tomatoes, Pickles, Red/Fried Onion. All Platters Served with a Bed of Lettuce with Balsamic Lemon Dressing, or Rice Made with Herbs. � How was your last visit to My Grill Bar? Located in a busy, fast moving area, you can walk into My Grill Bar knowing you will be handled with only the finest service. 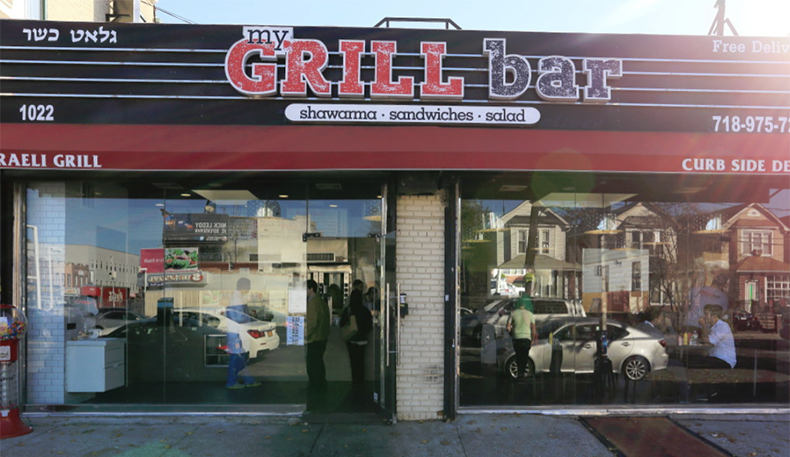 Being in the heart of Brooklyn, they have been serving delicious shawarma to the community since October 2015. The red booths and black sleek tables create a modern vibe. Yes, the atmosphere is modern, but the food is as Israeli authentic as can be. 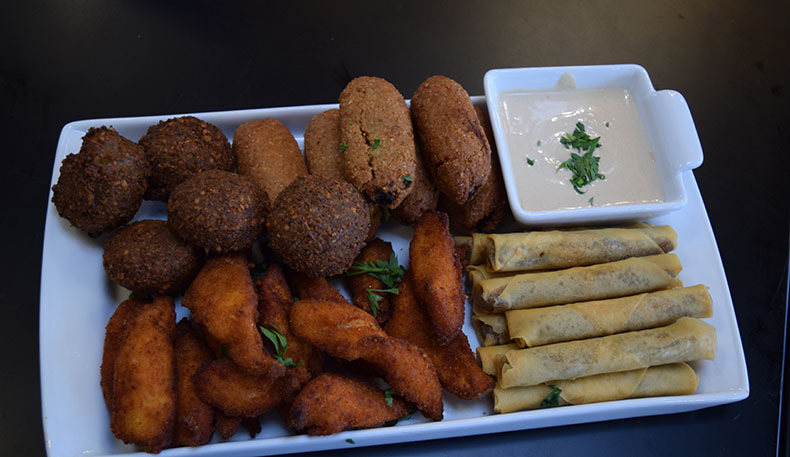 My Grill Bar offers a lot of delicious items like their Kibbe, Falafel, and Moroccan Cigars. 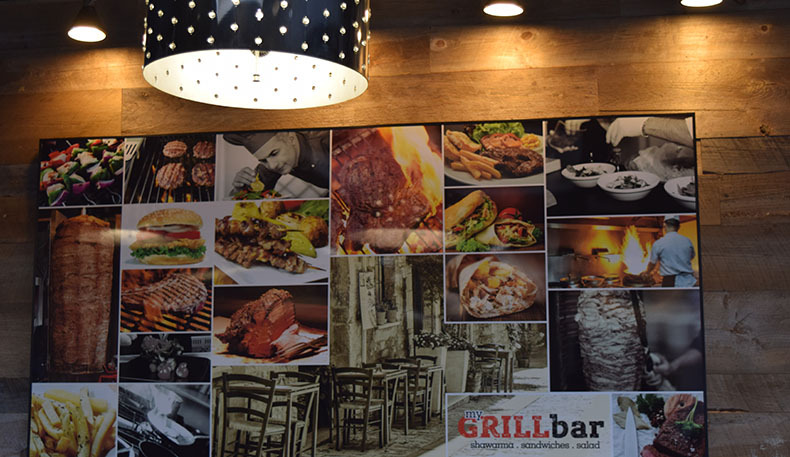 They are known for their renowned shawarma, which can we served on a platter, a Laffa, in a Salad, on a Pita or their new Shawarma Paninis! 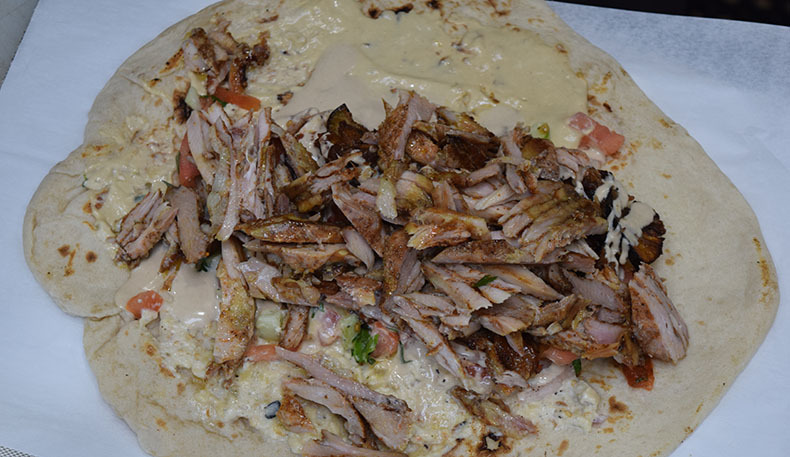 The Shawarma Panini is served on a whole wheat wrap, then pressed on a Panini maker, and comes with your choice of vegetables and different sauces. Besides for shawarma, they have other sandwiches like chicken and steak which come with Lettuce, Tomatoes, Pickles and Fried Onions. With every sandwich you get to make a plate from the salad bar, which has different many traditional Israeli Salads. 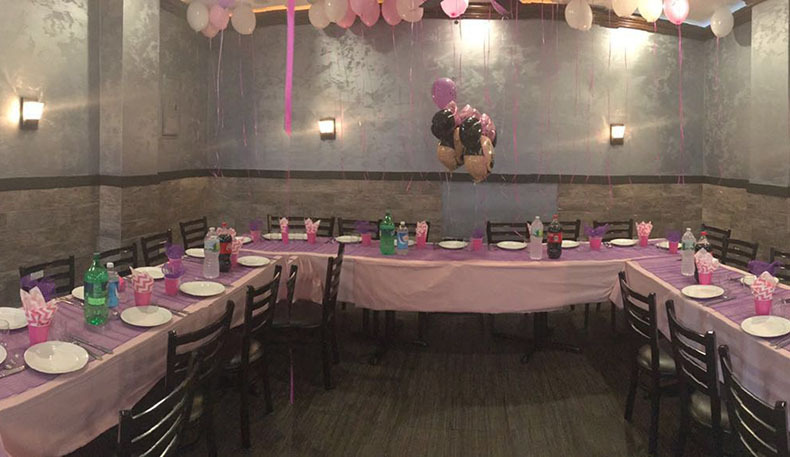 They have a party room that holds up to 50 people and is available for any type of occasion. You can get 5 salads on a table, 3 kinds of appetizers, and Mixed Grill served family style. They cater many off premises affairs like for offices, and home parties. They offer different combinations for set prices which come with many dishes at a low cost and Cholent every Thursday night. You can save 10% when you order from their website or app. They are open until 12 AM, and offer free delivery, no minimum. 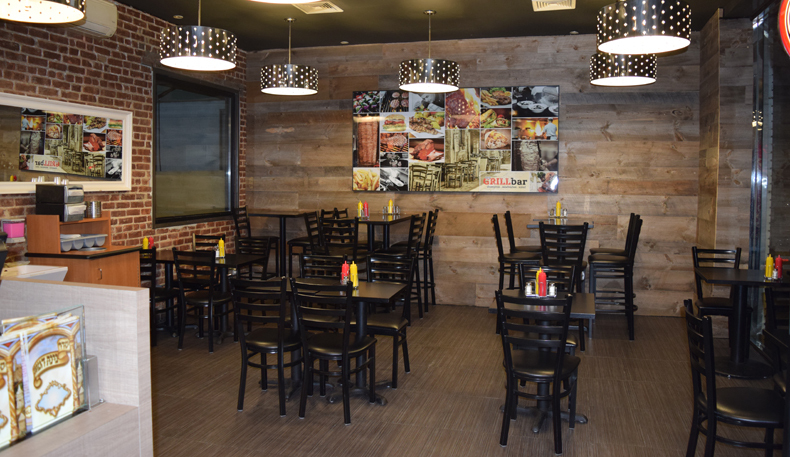 Next time you’re in the area, be sure to stop by for an amazing meal that will not be forgotten. My Grill Bar is your Grill Bar!